Escrow agents with decades of experience. Handling transactions of all types! We were founded in 1946, and while much of the world around us has changed, our values and practices remain rooted in our origins. Allison-McCloskey believes it is our duty to provide our clients with escrow services of all types, not just your standard real estate escrow. During our history, we have handled thousands of escrows involving millions of dollars, all out of our humble San Diego offices. 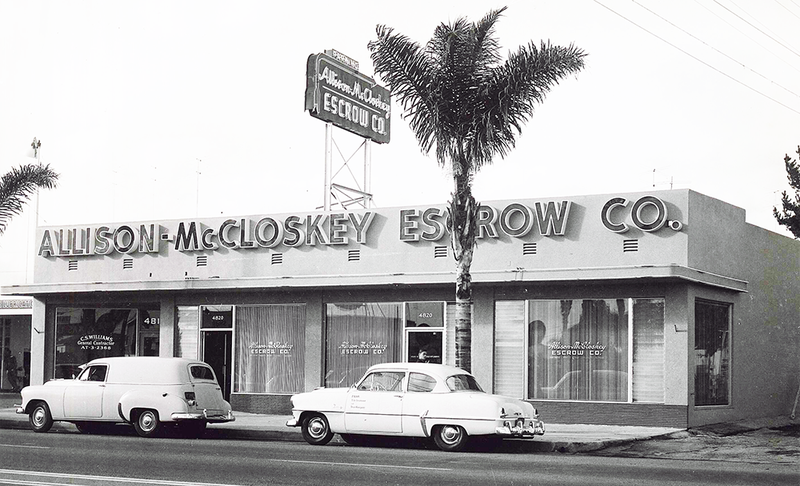 Allison-McCloskey has 18 escrow agents under our employ. All of our agents are experts in their own right, they can handle many different types of escrow services. We specialize in far more than just real estate escrow services and go through great lengths to troubleshoot your escrow difficulties. The team at Allison-McCloskey Escrow Company has gone through great lengths to serve our customers to the best of our ability. We have assisted clients from China, Israel, Spain and France, and we offer bilingual services for Spanish and Vietnamese speakers. Se habla Espãnol. Chúng con có nhân viên thông dich tiêng Vietnam. Challenges are not walls for us, they are merely hurdles for us to jump over to reach your goals. We will be pleased to listen to the nature of your escrow situation, then connect you to the appropriate escrow agent. Please contact us for more information!